It has been three weeks since I have left the ranch to go back to school. I keep thinking back onto the wonderful times I had with the Perman family on the Rock Hills Ranch. It was hard and frankly sad to leave. I had a lot of fun and learned so much this past summer. The experiences, people, and new ways of thinking that I have gained are priceless. I am back in school now busier than ever with school, work and the engagement. I drive by fields in the famous white dodge looking at farmers plowing their fields and just shake my head and think only if they could have a conversation with the Permans. I work at the beef lab here at Utah State University looking through the cows the other day I kept thinking to myself I wonder what her butterfat content is thank you Gerald Fry. I would suggest to anyone thinking of applying to an internship at RHR to go ahead and apply. It is not just knowledge about range, cows, or haying you gain knowledge and experience about. It is life lessons learned, people you meet, connections you make and ways of thinking you can incorporate. The Permans do such a wonderful job on incorporating learning into the work place. They are amazing employers very understanding and helping. They are just such a wonderful family. The portrait that they portray of their ranch is absolutely gorgeous. There is something about South Dakota that gets to you I don’t know if it is the mosquito s or the beautiful sunsets. All I know is if the Perman family is ever in Utah you are always welcome around my camp fire. 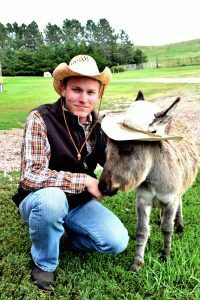 My name is John Wendt and I am the newest intern here at Rock Hills Ranch! A thunderstorm has me cooped up for the office for the better part of the day so I figured that I ought to take this opportunity to introduce myself. I was born and raised the oldest of four siblings in the suburbs of Denver but my family and I now call Fort Collins, Colorado home. I am currently a senior at Colorado State University (CSU), where I study Rangeland Ecology in the Warner College of Natural Resources. My immediate plans following graduation in the Spring of 2016 are currently in the works but among the options under consideration are international research, seasonal field work, and graduate school. My academic interests include restoration ecology, botany, geography, and spatial/temporal landscape dynamics. When I am not working or studying I enjoy playing banjo, reading, backpacking, climbing, fly fishing, and photography. Thus far in my academic career, my education has emphasized the use of research tools to address academic and/or management questions. And while there is nothing wrong with such an approach, I still have questions about how to implement specific rangeland management practices (e.g. fencing) and why private landowners (e.g. ranchers) choose to implement certain practices and forego others. 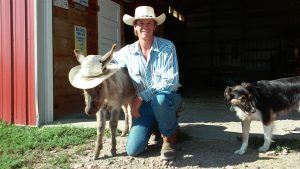 I am confident that my experience here at Rock Hills Ranch will equip me with useful skills and provide me with insight into the unique considerations and challenges that confront ranchers. 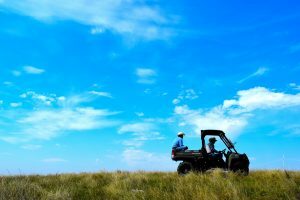 My internship at Rock Hills Ranch is part of what has turned out to be an incredible year of new experiences and discovery. I put my final semester of undergraduate study on hold to take advantage of some “alternative” educational opportunities. My goal has been to broaden and deepen my understanding of the world’s rangeland ecosystems and the people who inhabit and manage them. My first stop along the way was Mongolia. I participated in an excellent program through SIT Study Abroad. The semester was utterly filled with blog-worthy experiences and lessons but I will refrain from congesting RHR’s tidy journal page with personal memoirs of my time abroad. 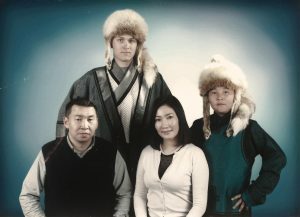 Nevertheless, the highlights of my experience in Mongolia include a homestay with a family of nomadic herders in the mountain steppe region of Bayankhongor, an opportunity to work with a Mongolian NGO (non-governmental organization) to develop a community-based conservation plan for a small herding community, and attendance of an international research conference addressing the resilience of Mongolia’s rangelands. 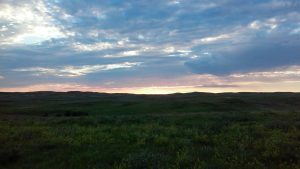 Upon my return to the U.S., I worked through the summer as a field technician with a CSU rangeland research project aimed at developing ecosystem models to assist with the management of wildlife habitat in Northwestern Colorado. (If you are into sagebrush steppe, expansive skies, abundant wildlife, and lonesome dirt roads Moffat County, CO is the place for you). Following the conclusion of field work I took a brief foray to the Pacific Northwest to climb Mount Rainier, visit a long-lost cousin, and explore potential grad schools. Needless to say, I am looking forward to a more settled pace of life here at the Ranch until my time here comes to a close this November. I will work on several seasonal tasks and ongoing projects including fence construction, water source installation, stacking hay bales, and moving herds to name a few items. Additionally, I will assist with the development of a Ranch Operations Manual to be used as a reference for the years to come. I will be regularly updating this blog throughout my time here so be sure to check in to see what I am getting up to!